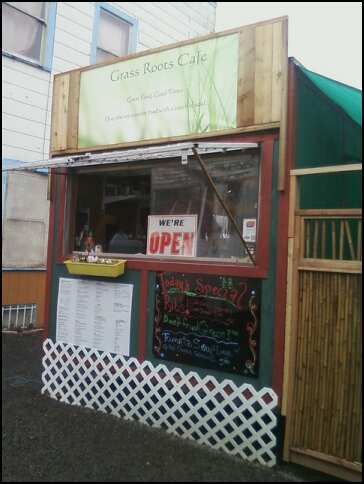 Grass Roots Cafe (headed by Ellis) is a food cart located near the corner of N Mississippi and Fremont in Portland, Oregon. I was intrigued to come here thanks to Brett's post on Food Carts Portland -- where you also can read more of Ellis' story. 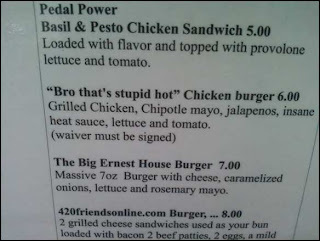 The one meal in particular I had eyes on: the "Bro that's stupid hot" chicken sandwich ($7). 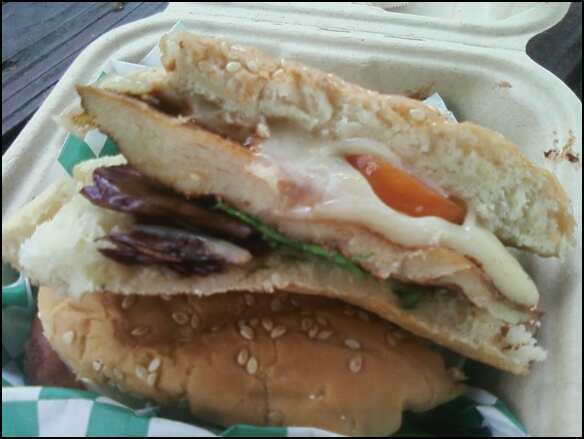 Grilled chicken, chipotle mayo, sliced jalapenos, insane heat sauce, and sliced tomato on a sesame seed bun. The insane heat sauce consists of ghost peppers, habaneros, serranos, and cayenne. While this would scare a bunch of people away, it only made my smile wider. 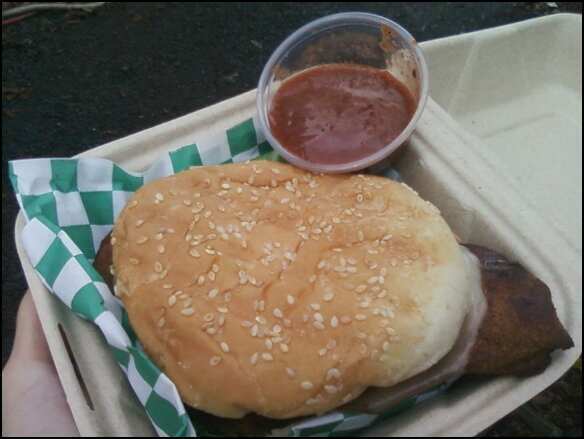 I got the sauce on the side, so I could (sort of) control the spiciness on my initial experience. 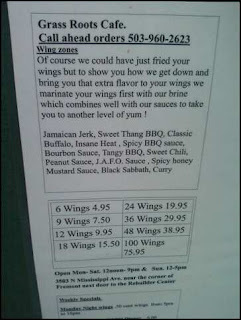 Lots of sauces and wings! 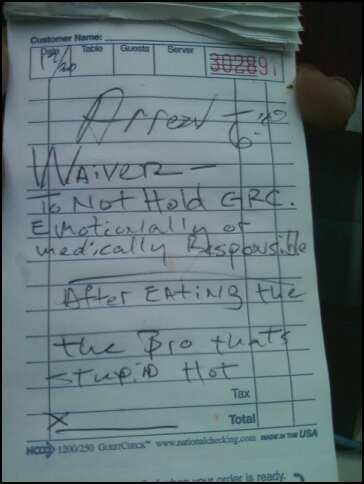 Oh, Ellis made me sign a waiver. Yeah, he seriously did. No actual typed form here...he just wrote it on his order pad and I quickly signed it. I really appreciated the smokiness of the insane heat sauce (thanks to the ghost peppers). Having experienced this type of heat before, it wasn't a shock to my system. I guess if Ellis dumped about 6 oz. 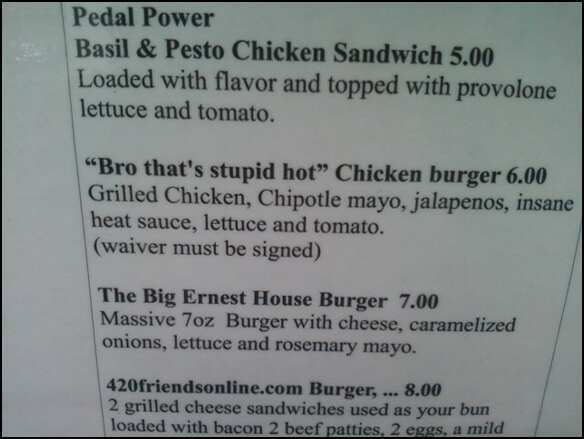 of this stuff on the sandwich...that may pose more of a threat. Unfortunately, the chicken was dry. It had been pounded flat, which made it more susceptible to overcooking. Better than undercooking, at least. I'm very intrigued by the multitude of sauces at this cart. The number and originality remind me of Portland's heralded bar/wing joint, Fire on the Mountain. All sauces here are made from scratch except the sweet chili sauce. 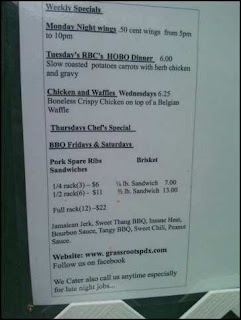 Ellis likes the Spicy BBQ one the most, followed by the Jamaican Jerk. The J.A.F.O. sauce uses ginger, while "Black Sabbath" contains reduced balsamic vinegar. 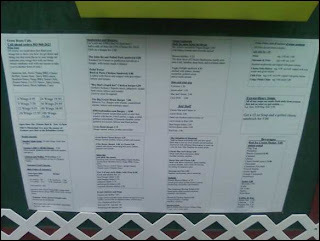 Ellis plans on changing his menu every so often. 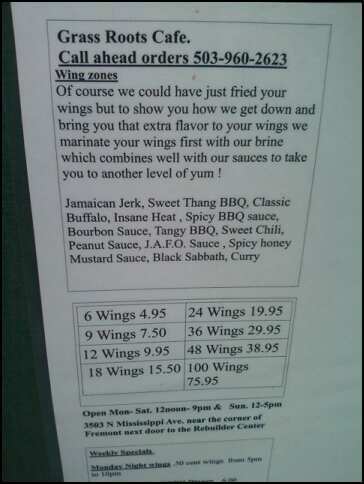 In the future, we may have a quantity challenge (I believe he mentioned about 3 lbs of food or a 3-lb burger), as well as a spicy wing challenge (a dozen wings caked in a spicier insane heat sauce). 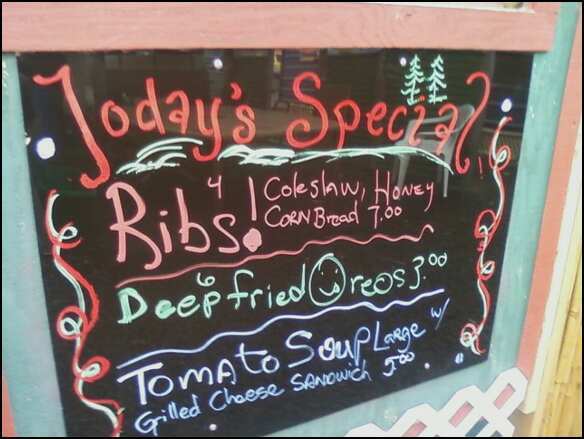 Also consider the weekly specials, such as 50-cent wing Mondays and Chicken-and-Waffle Wednesdays! 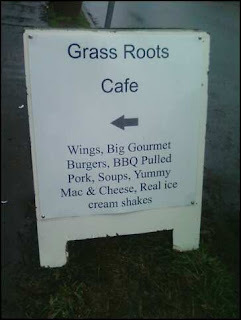 This may have just been an OK experience, but I'm planning on going back one day anyway. 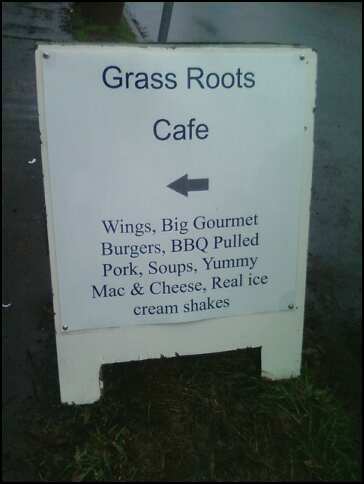 Hop over to Grass Roots Cafe and try the food out!